Despite Miami’s lack of success, I’ve had a blast writing for BoB the past four years. 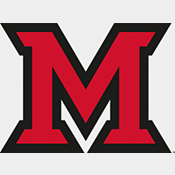 When I was essentially laid off by WCPO in 2015 and had my blog stripped from its site despite 18 years of service to parent company Scripps-Howard overall, I agreed to join BoB to continue writing about Miami hockey. I’m both extremely grateful and extremely glad I made that choice. But I want to create something of my own, and that’s why I’m launching the site viewfromtheglass.com. Thanks to everyone who has read my work here over the past four years, and I welcome you to check out my site (which is still a work in progress) and also please continue to frequent this site, which will provide plenty of content as well.